Whether you’re a large or small business, there are always concerns about intrusion, inventory shrinkage, fire damage and most importantly, employee safety. At Protection Zone Security, we design, install and service a variety of electronic security solutions, which are customized to your company's individual needs. Protection against theft and intrusion is a fundamental concern of every business owner. Whether it’s valuable electronics, downtime, loss of sensitive company information, you need assurance that you are protected against the risk of theft and vandalism. From a selection of state-of-the-art Honeywell equipment to quality of installation, Protection Zone can provide you with an effective security system. 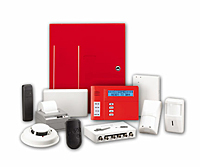 Our burglar alarm systems include digital keypads with police, fire and medical emergency buttons, master security panel with emergency back-up battery, interior motion detectors, signs and window decals plus many other options to help you customize your system to meet your needs. A fire can be a devastating occurrence with significant impact on your business. Our fire protection systems include manual fire alarm pull stations, smoke detectors, heat detectors, monitoring of fire panels and monitoring of sprinklers and flow valves. Many insurance companies will offer you a discount or even require you to have a security and/or fire system to be insured. Once an alarm system is installed, quality monitoring is vital. Protection Zone Security utilizes one of the most technologically advanced, secure and fully redundant UL approved Command Centers. This technology allows real time access to your events so we will be notified of your alarm activity immediately. Your satisfaction and security are our ultimate objectives. For businesses using alternative telecommunication options for their primary phone service such as Cellular/ GSM or internet (VoIP), Protection Zone Security provides wireless communications solutions to our monitoring centers. 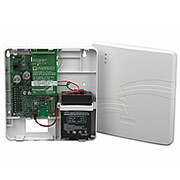 The Cellular/GSM network or Internet service is also UL 864 approved for commercial fire alarm systems. In addition, we also offer this option as a secondary or back-up system to your existing landline telephone service in the event your phone line is cut or goes down. The cellular option utilizes cellular technology, with its own battery back-up power, to communicate directly with our monitoring centers so you are always connected and fully protected. Never worry about power or telephone wires failing or being cut, this advanced communicator sends signals wirelessly on its own power. We offer a state-of-the-art Honeywell Communicator System delivering secure, reliable and complementary digital communications via the Cellular/GSM network. We also offer the Commercial Fire Alarm System with wireless monitoring that includes special UL fire code approval and fire lock box. 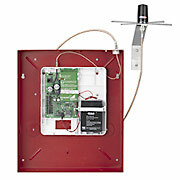 Protection Zone Security is aware of your responsibility in keeping your fire protection systems up to code. We offer a range of inspection, maintenance and certification services to satisfy your building and NFPA 72 Fire Code requirements. Access management is an essential component of the chain of security and protects the confidentiality of information, tools and know-how of every business. We can provide a system that will allow you to monitor traffic at the location by determining the entry points, hours and days when access is authorized. Simply present your identification to one of the proximity readers and the system identifies you and unlocks and disarms the door with a single action. You can choose your form of identification including key fobs with microchips, swipe cards, magnetic cards or key pads with code entry. 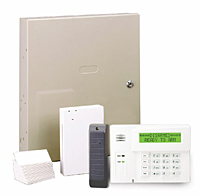 Intercom systems may also be installed for entry access or station-to-station communication. With a video surveillance system installed and maintained by Protection Zone, you can enhance the safety of individuals and guard against loss, false claims and criminal activity at the same time. CCTV systems incorporate cameras arranged in strategic locations to record images for later consultation. An effective system must also be as flexible as it is easy to use and provide excellent quality images, night and day. The images that are captured must, in fact, be able to be analyzed, archived and if necessary, used as evidence. We install only the finest CCTV equipment provided by Sony, Samsung or Speco. Featuring surveillance cameras that "see in the dark." Remote video monitoring is also available which allows you the convenience of viewing camera activity from remote locations. Our expertise in the field of conference room needs and PA systems enables us to provide solutions for a wide variety of applications. We can install speakers and amplifiers allowing you to utilize microphones and audiovisual equipment. PA systems are the perfect application for school, factories, warehouses, etc where a central point or primary broadcast station is needed to communicate throughout the facility. Protection Zone Security is able to provide your wiring needs for new or existing structures. We provide standard wiring to allow you to create your network for telephony, intercoms, computers or other customized applications.